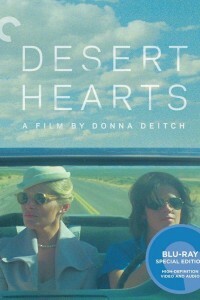 The movie Desert Hearts was groundbreaking upon its 1985 release: a love story about two women, made entirely independently, on a self-financed shoestring budget, by a woman. In the 1959-set film, an adaptation of a beloved novel by Jane Rule, straitlaced East Coast professor Vivian Bell (Helen Shaver) arrives in Reno to file for divorce but winds up catching the eye of someone new, the younger free spirit Cay (Patricia Charbonneau), touching off a slow seduction that unfolds against a breathtaking desert landscape. With undeniable chemistry between its two leads, an evocative jukebox soundtrack, and vivid cinematography by Robert Elswit, Desert Hearts beautifully exudes a sense of tender yearning and emotional candor.